As a critic, I'm often expected to hold my nose and ignore the faults of a regionally made movie, as if it were an artisanal cheese that is inherently better than the mass-produced stuff just because it's local and the person who made it is also selling it to you at the farmers market. With movies made here in Utah, that expectation grows beyond just forgiving the low-budget production values or uneven acting talent. Utah-made films should get a pass, people often tell me, because they often are wholesome morality plays geared toward the state's predominantly Mormon audience. Utah-made movies, though, need not be graded on a curve. Two new movies, both made in Utah — "Once I Was a Beehive" and "Point B" — are good enough to stand alongside what comes out of Hollywood or the independent-film world. "Once I Was a Beehive," as the title implies, is in the traditional Utah-movie mold — that is to say, it's a Mormon movie. Directed and written by Maclain Nelson (who played one of the kidnapped missionaries in the thriller "The Saratov Approach"), it's an affectionate and funny look at a peculiar aspect of LDS culture: church-organized girls summer camp. Lane Speer (played by Paris Warner) is a typical happy teen whose life is defined by the monthly camping trips she takes with her mom (Amy Biedel) and dad (Adam Johnson). But then Dad dies of cancer, and the joy goes out of Lane's life. A year later, her mom, Audrey, has married a nice Mormon guy, Tristan (Brett Merritt). While Audrey and Tristan go off on their honeymoon cruise, Lane stays with her new stepdad's sister, Holly (Hailey Smith, who shares story credit with Nelson). Lane befriends her new cousin, Holly's daughter Phoebe (Mila Smith), an anxiety-prone kid who carries her emotional-support dog, Roxie, wherever she goes. (Phoebe is also, judging from her T-shirts, a massive "Doctor Who" fan, so she's aces in my book.) When Carrie (Lisa Clark), the perky and pushy chair of their ward's girls camp committee, starts pressuring the reluctant Phoebe to sign up for this summer's camp experience, Lane offers to come along to protect her from Carrie's weapons-grade enthusiasm. Lane, as narrator, provides a shrewd outsider's perspective on the archetypes among the campers: the overachiever, the beauty queen, the boy-crazy girl, the drama major and the sisters with unique-to-Utah names that sound like their parents "tried to make as many names with the same seven Scrabble letters." Lane — who, thanks to her father, is the only girl in camp with actual camping experience — also joins in the activities, culminating in the "trial of faith," a combination of Bible study and treasure hunt that Phoebe describes as "Sunday school as taught by Indiana Jones." Nelson fills "Once I Was a Beehive" with plenty of humor, poking gentle fun at camp quirks while also admiring the spirit of togetherness camping imparts to the girls. The movie also is blessed with a strong cast of young actors and one outstanding young-at-heart supporting player: Barta Heiner, who plays Sister Nedra, a crusty ex-Marine nurse and Carrie's second-in-command. The result is a movie that's warm-hearted and consistently charming. "Point B," though nearly as good, is a polar opposite to "Once I Was a Beehive" in many ways. Its cast is mostly male, its dialogue is profane, its spiritual message is nonexistent, its production values vary and it is daring in its inventiveness. Mark (David Fetzer) and Alan (Jared Shipley) are grad students in the physics department of an unnamed university who try and fail to secure school support for an "alternate field generator" — a lovely bit of science-fiction mumbo-jumbo in David Gitlin's snarky and surprisingly foul-mouthed screenplay. The students soldier on in their basement lab: Mark applying his technical genius while Alan provides the financial support from his trust fund, as zoned-out mechanical wizard Jason (Josh McLerran) and nervous intern Andrew (Eric Fisher) round out the team. One night, while reworking the coding for the millionth time and chasing a mouse out of the basement, Mark has one of those penicillin-in-the-petri-dish moments — and finds himself zapped from the basement to the hills above the unnamed but city, which will be recognizable to Salt Lake City residents. Yup, faster than you can say, "Beam me up, Scotty," Mark and his crew have accidentally invented a teleport. While Mark works to resolve the physical side effects, like the blood that splatters on the lab's walls when someone is teleported, Alan is approached by a corporate mogul (Eric McGraw) with nefarious designs on the device. Meanwhile, Jason starts using the thing regularly, with dangerous long-term results. "Point B," filmed in 2012, boasts special effects that are quite clever, considering the budget. Some scenes show the budget limitations and have the haphazard quality you might see in an '80s sci-fi thriller shown on "Mystery Science Theater 3000." Director Conor Long smartly steers into the skid, turning his movie's microbudget into a virtue by perfectly melding Gitlin's dark-humored script with the pacing of a good action thriller. And, as with "Once I Was a Beehive," casting carries the day. Shipley, McLerran and Fisher make a nicely oddball ensemble of basement nerds. At the center, Fetzer is dynamic, funny and charismatic — in short, a movie star. Watching him own this movie is a bittersweet experience, though: The actor died unexpectedly in December 2012, just days after his 30th birthday, on the cusp of what could have been a major acting career. The Venn diagram for the audiences of the salty "Point B" and the sweet "Once I Was a Beehive" would seem to have little overlapping space. There is one group, though, that should see both movies: would-be Utah filmmakers, who will be confronted with the hard truth that there are no excuses for their films not to be as good as these two. Two independent movies made in Utah show that regional cinema can be as smart, funny and charming as big-budget Hollywood fare. Where • "Once I Was a Beehive" in area theaters; "Point B" at the Tower Theatre. When • Both open Friday, Aug. 14. Rating • "Once I Was a Beehive" is rated PG for mild thematic elements and brief peril; "Point B" is unrated, but probably R for language. 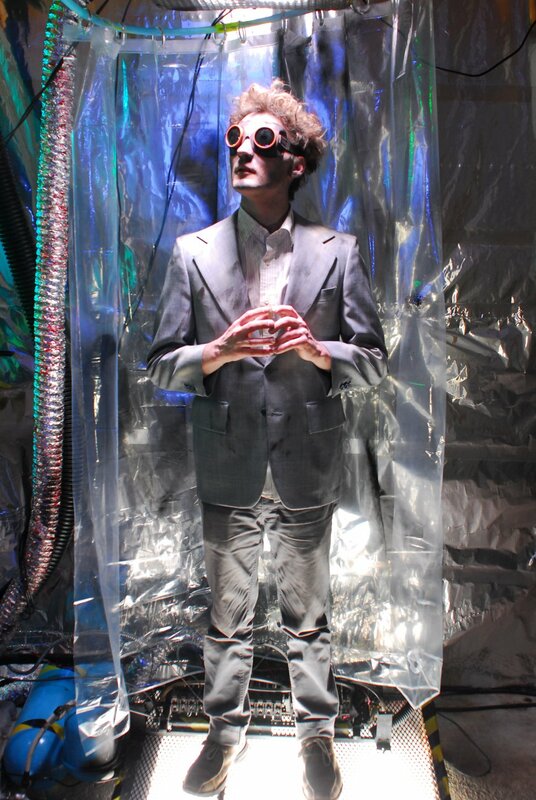 Running time • "Once I Was a Beehive" is 113 minutes; "Point B" is 94 minutes. | Courtesy David Fetzer, flanked by co-stars Jared Shipley (left) and Josh McLerran (right), stars as a physicist who makes a scientific breakthrough in the Utah-made sci-fi comedy-drama "Point B." | Courtesy David Fetzer stars as a physicist who makes a scientific breakthrough in the Utah-made sci-fi comedy-drama "Point B." | Courtesy Andrew (Eric Fisher, left) and Mark (David Fetzer) marvel at their new invention in the Utah-made sci-fi comedy-drama "Point B." 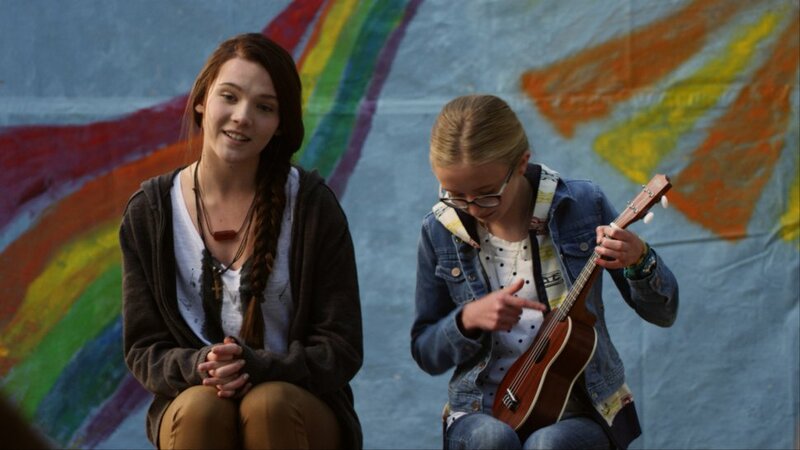 | courtesy Thrillion Dollar Movie Lane (Paris Warner, left) and her step-cousin Phoebe (Mila Smith) perform a song in a summer-camp talent show, in the Utah-made comedy-drama "Once I Was a Beehive." | courtesy Thrillion Dollar Movie Newcomer Lane (Paris Warner, left) learns life lessons from Sister Nedra (Barta Heiner), a crusty girls' camp adviser, in the Utah-made comedy-drama "Once I Was a Beehive." | courtesy Thrillion Dollar Movie Campers examine the first clue in the "Trial of Faith," a Bible-based scavenger hunt, in the Utah-made comedy-drama "Once I Was a Beehive."